NOTE: Before you begin with updating anything on your WordPress site make sure to create a backup to avoid data loss. 3.1. When Should You Hide Your WordPress Version? NOTE: This security measure is only recommended in the case when you are using a single IP address that does not change. You can even apply this technique to more than one IP address, but only in the case when you keep a track of all those addresses. Did you know more than 70 per cent of websites that use WordPress is vulnerable to hacking attacks? This is an alarming situation for all those who are looking to gain a firm hold in the precarious marketplace, by developing a secure WordPress powered site. WordPress is a highly useful tool for development makes it the foremost choice of many to take their business online; this is what makes it more prone to potential security threats. In this post, we’ll discuss some highly useful tips that can help in improving your WordPress security against hackers and exploits. 41% of WordPress sites were hacked because of a wordpress security vulnerability found on their hosting platform. 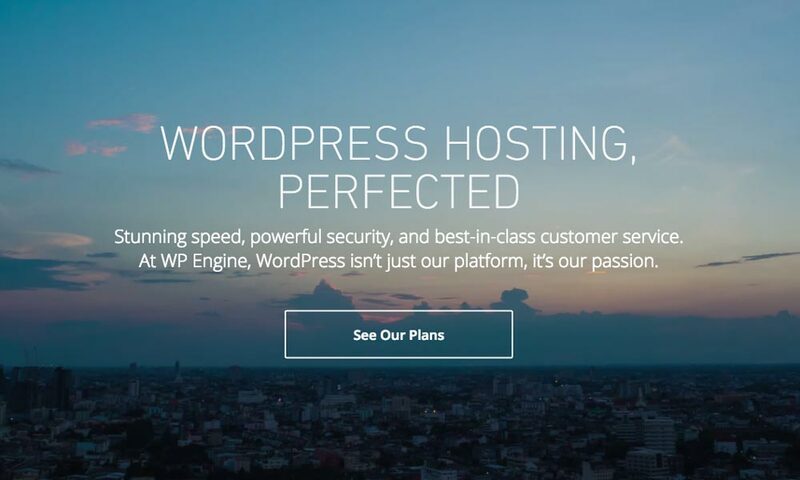 While several factors are responsible for vulnerabilities found in WordPress websites, a hosting service provider is often the first place to find security loopholes present in your site. There’s always the chance that loading software on your web host can compromise the security of the server. Makes you work on the latest stable versions of the server software. Provides you with trusted methods for backup and recovery. You can find many different types of WordPress hosting options to choose from, such as: free, shared, managed, VPS, etc. Among all these options, it is strongly recommended that you should select a managed hosting service. Updating your WordPress installation is another critical measure to keep your website protected against security loopholes. Since WordPress CMS is open-source software, it’s pretty much clear that the CMS is maintained by a vast community of volunteers, which could end up inviting security vulnerabilities. Thankfully, WordPress frequently introduces security releases to help users fix bugs and security patches found in WordPress installations. Updating your WordPress site according to the released security upgrades will assist in keeping the site free from vulnerabilities and security holes. 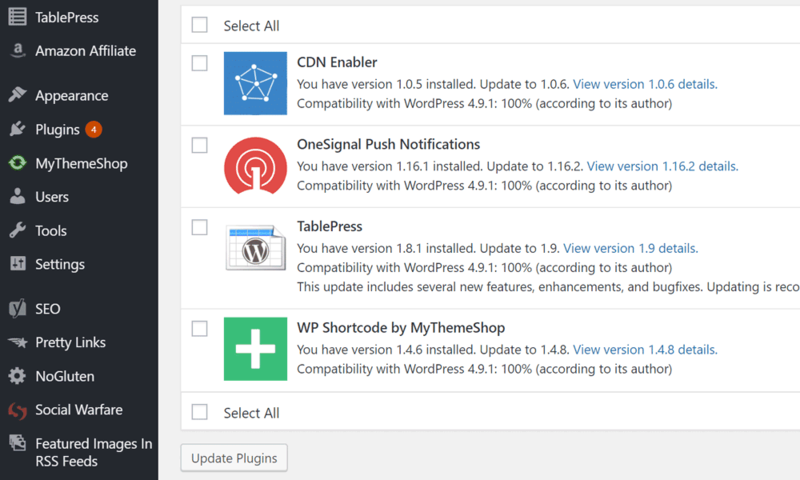 When it comes to updating a WordPress installation, you need to focus on three different forms: WordPress core, themes, and plugins. Updating all these forms of your WordPress installation might seem challenging and time-consuming for you, but in reality, it is a simple and straightforward task. In fact, you can manage all your WordPress upgrades without much hassle. To do so, you just need to access your site’s admin dashboard screen. To know more about this measure, just head to the WordPress Codex page. Needless to say, the more difficult you make for your hackers to break into your site, the more secure your site will become. You might have stumbled upon plenty of write-ups on WordPress security, suggesting to hide your WordPress website version, so as to ward off hackers’ attack. As a matter of fact, many WordPress users believe that vulnerabilities associated with a WordPress version will most likely make their site a victim of exploiting. But, this isn’t necessarily true in most cases. Remember that people who hack WordPress sites, in general, make use of automated tools for scanning WordPress sites for known vulnerabilities. And so, they’ll anyhow know whether your WP version is vulnerable or not. Of course, they won’t possibly visit every site with vulnerabilities but rather would launch an attack on a random website. So, the best way to make it difficult for the malicious users to hack into your site is to fix all the security patches found in your WordPress version. And the best way to do that requires upgrading your theme to the latest released version. But, if you come across some unlikely event, wherein a hacker checks every WordPress site version manually to find vulnerabilities, then it makes sense to avoid displaying your WordPress version. Your site version number appears in two different areas: the website header and RSS feeds. As we discussed previously in this post, most of the hackers attempt at breaking into a WordPress site by brute-force attacks. An excellent and reliable way to keep your site secure from hack attempts is by putting a limit on login attempts made by users to your wp-admin and wp-login.php page. There are some great plugins that make the task of restricting login attempts a lot easier. For instance, the WP Limit Login Attempts will best suit your needs by adding a limit to the rate of login attempts made to your login page. The plugin temporarily blocks the IP (for up to 10 min) to safeguard a WordPress install from brute force attacks. Some other plugins you can consider for the job of applying a limit to login attempts are Login LockDown, Jetpack by WordPress.com, etc. Make sure to edit the IP addresses (11 through to 15) used in the above code snippet with the IP addresses you would wish to give access to. You will be living under a rock if you’re still unaware of the fact that every WordPress installation has a default username called “admin”. Not to mention, even hackers know about the WordPress default username. And so, most likely the hackers would make persistent attempts to break into your site by launching brute-force attacks using ‘admin’ as username. What’s more? Hackers try using every possible password combination to gain access to a WordPress site. So, if your password is not strong enough, it could be easily cracked with a brute force attack or any password finding software. Therefore, you must focus on making your site’s username and password hard-to-guess. An ideal way to create a secure username is to make use of WordPress plugins such as Username Changer. The plugin is primarily built for changing WP site’s username to something more secure. Or else, you can choose to create a new user and assign administrator rights to that user, and then get rid of the old ‘admin’ username. Fortunately, with the release of WordPress version 4.3, you can now have a secure password by default. Now, when you click on the “Generate Password” button in the image above, it will help generate a strong password for your site automatically. Another important step that can contribute to making your site secure against continuous hack attempts is to make use of a “Two-step authentication” approach, also referred to as two-step verification process (or simply 2FA). Just as the name suggests, two-step authentication requires users to go through two levels of security before they’re allowed to use the website. In the first step, the user is required to enter the username/password. The second step requires entering a security code that is sent to the users in the form of a text message on their mobile device or via another mode. Duo Two-Factor Authentication: The plugin helps add 2FA for your website admins and user by using their mobile phone or any hardware token as the second layer of security. Google Authenticator for WordPress: It requires users to enter a one-time password or QR code that’s sent to their mobile phones. Clef Two-Factor Authentication: This plugin provides 2-factor authentication without the need of using ‘passwords’. It rather uses the RSA public key cryptosystem to implement 2FA. Setting up correct file permissions is commonly overlooked by most website owners. But remember, just like any other security measures, proper file permissions is also crucial to resolving security concerns. Especially, locking down the write access to files in a shared hosting environment is must for preventing unauthorised users from injecting malicious code or scripts into your site. It is advised that all your WordPress website files are required to be owned only by your user account. Also, only you should be able to perform the write operations on the files. For this purpose, make sure to set the value of CHMOD to “744” while setting up file permissions. That will make your site’s directory (or folder) read-only to your website users except you. Put simply; only you can write to the directory while all the users can only read the contents of that directory. Also, ensure that the “File Permissions” is not set to “777” since it gives malicious users or entity the ability to upload a file containing bugs or modify any existing file to execute code. In short, devious hackers will have control over your entire site, including your username and a password. So, if the CHMOD value is set to “777”, make sure to change it to “755”. Additionally, ensure to set file permissions to “644”. You can read more about file permissions at the WordPress Codex. At times, you might not even realise that your site has been hacked. However, monitoring your WordPress site regularly can help you detect hidden malware and vulnerabilities (if any) that exists on your site. This where the Sucuri Security WordPress Security plugin comes in handy. The plugin serves as the one-stop solution for users seeking a way to monitor their WordPress site for malware. After all, the WordPress Security Plugin is built by Sucuri Inc. – a reputed authority recognised across the globe for handling matters concerning website security. 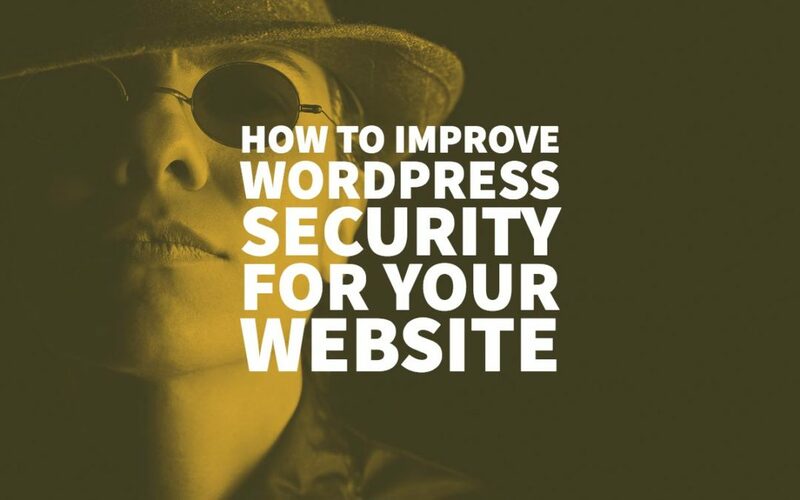 While it’s true that there isn’t any “One-size-fits-all” approach to ensure a 100 per cent secure WordPress installation, it would be foolish not to take any measures to avoid your site’s security from being compromised. 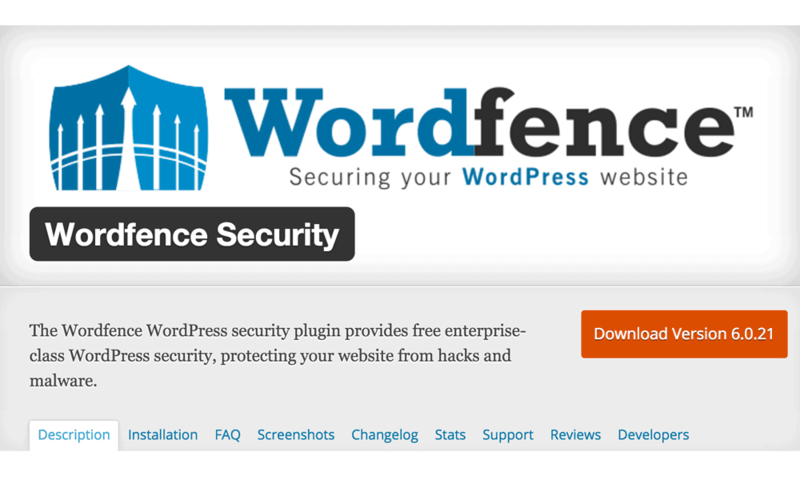 There are plenty of ways to strengthen the level of security of WordPress sites, however, through this post I’ve tried covering some of the most significant security challenges that WordPress users encounter now and then. This Case Study is a guest post written by Ella Cooper, a Senior Web Developer at Xicom Technologies Ltd. In this event grade IT space you need to look App Developers for Hire that not only are highly skilled but also stay abreast to the latest advancements. Along with development, Ella likes sharing her web experience via blogging and reading what others have to share. Security is one of the steps to a successful development of your site or blog. I agree with that. That is why don’t be slow and search for good web hosting service! Actually the security plugins have been a popular vulnerable spot in WordPress configurations lately – https://bjornjohansen.no/plugins-most-vulnerabilities . Relying solely on 3rd party plugins that have very limited access to server configuration, permissions, and anything beyond the PHP script capabilities can easily lead to a breach into a WordPress website. Not useless in the least – just this author’s particular recommendations for better WP security. Take your trolling elsewhere!